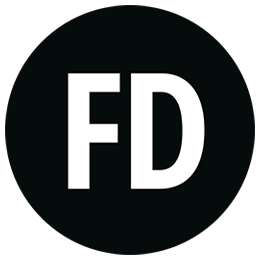 Blog - FD Presents: What's Hot? What's New? Every week here at Fragrance Direct we get loads of new, amazing products on site. New fragrances launches, skin and haircare saviours and gorgeous new makeup products that we don’t want you to miss out on! From Jimmy Choo’s new fragrance to Mac lipsticks we think it’s time to treat yourself, we all need a bit of a pick me up in this dreary weather don’t we?! First up we have the gorgeous new fragrance from Jimmy Choo ‘ Illicit Flower. It’s the new addition to the Jimmy Choo portfolio and here in the office we just can’t get enough of it! The packaging is beautiful and feminine and the bottle an ideal addition to your dressing table collection. The notes include apricot, zest of mandarin and floral notes of freesia so it’s light, fresh and ultra feminine. Perfect for everyday wear as it’s super long lasting. Next up we have the Rimmel Moisture Renew Lipstick. These lipsticks are amazing for those of you who can find some lipsticks very drying and uncomfortable. The formula includes collagen, polypeptides and hyaluronic acid which when all working together deeply hydrate the lips and improve their condition. The colour pay off on these babies is so rich and pigmented you can achieve the perfect pout every day! At £2.99 they’re a steal! Onto sun care and we now stock L’Oreal Sublime Sun Mythical Bronze SPF15. This dry oil is enriched with argan oil to nourish the skin and prevent drying whilst you’re spending those summer days on the beach. It gives a beautiful sheen to the skin without making you feel greasy which you can sometimes find with oil based products. It contains an ingredient that stimulates the production of melanin for a golden and radiant long lasting tan, bingo! You need to check out this Elemis Frangipani Salt Glow Body Scrub, it smells incredible! For those Sunday night pamper sessions we all crave, this salt scrub is essential. It melts on contact with the skin and leaves it feeling so soft and nourished you’ll be in Zen zone in no time! It has mineral rich salts and hibiscus that will cleanse and exfoliate the skin whilst also sealing in moisture. 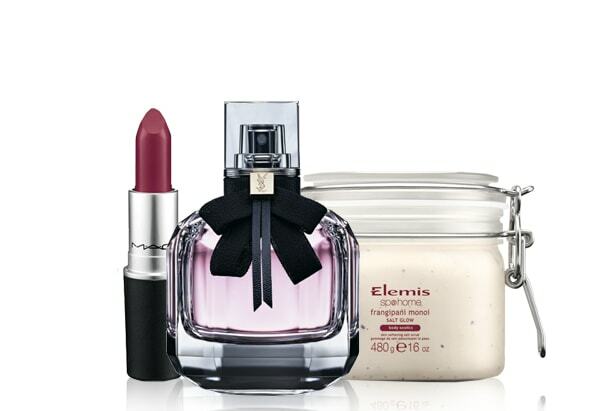 Let’s be honest we all need a bit of Elemis to transport us to the spa! Next up we have another new fragrance launch, YSL Mon Paris. This new perfume launched last week here at Fragrance Direct and we’re absolutely loving it! The notes are vibrant and juicy and will leave you smelling sweet all day long. The bottle is another must for your dressing table, with the pink juice and cool black lavaliere and rock leather ties. Will you be making Mon Paris your signature scent? We have MAC lipsticks back in stock everyone!! With all the bestselling colours as well, as you can imagine we all got pretty excited here at FD HQ. Velvet Teddy, Lady Danger, Myth, Snob, Rebel’ they’re all here so snap them up before they’re gone and save some money off the RRP! There are also plenty of other MAC products on site that are worth a little mid-week treat. Now we have a new nail polish brand onsite MiA Laurens Paris. The colour selection for these polishes are amazing, there’s so many we want to try! The pigmentation is really great and you achieve a good depth of colour with just a couple of coats. The brush makes the polish so easy to apply and gives a perfect and uniform application. We all want bright, glossy nails in the summer time and you’re bound to find your perfect colour from this brand! And finally we have the St Moriz Gradual Tanning Lotion to round up the best of our new in products! We all love St Moriz products for the great value they are and they now have a new addition in the Gradual Tanning form. This lotion is amazing for beginners or experienced tanners as you can control the shade you want or top up between tanning sessions. It gradually (as it says on the tin) builds a natural glow whilst moisturising the skin. I mean for £3.50 this lotion is an absolute bargain! You can check out all of our new products here but make sure to tag us on Instagram with your hauls!